San Carlos Bay was where the majority of the British invasion force in 1982 came ashore. It was also the point that the Argentine Air Force attempted to disrupt them and cause maximum damage to the British. 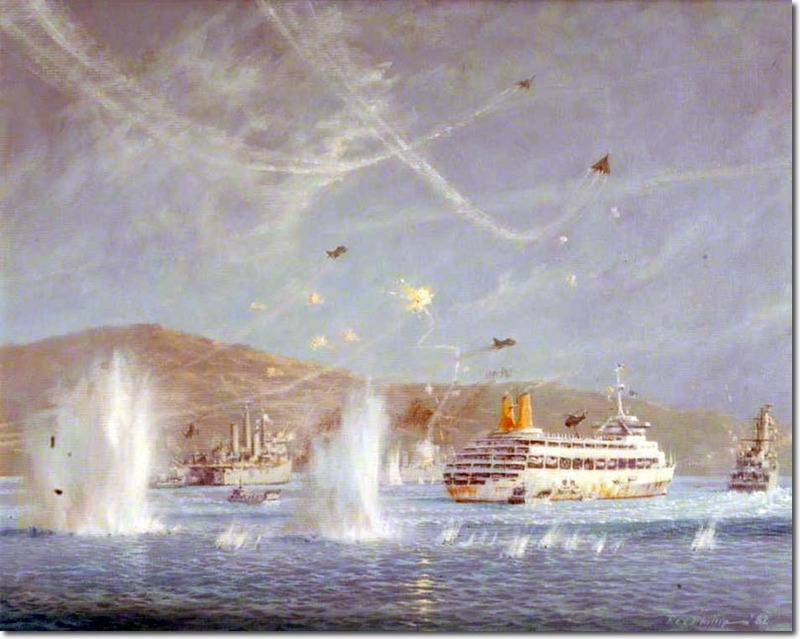 The painting above by Brian Coole shows a more tranquil aspect of the campaign. Rex Phillip's painting below shows the opposite end of the spectrum. 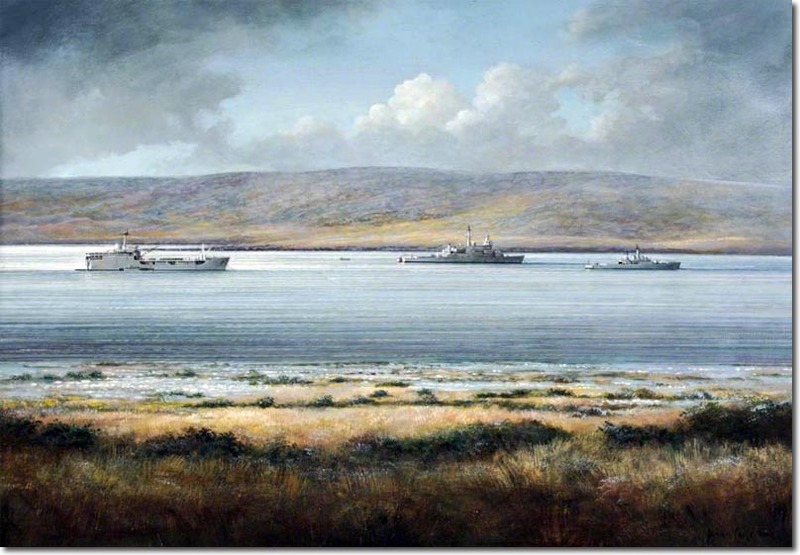 A full account can be read here: The Falklands War.